Cavan manager James Daly. ©INPHO/Morgan Treacy. 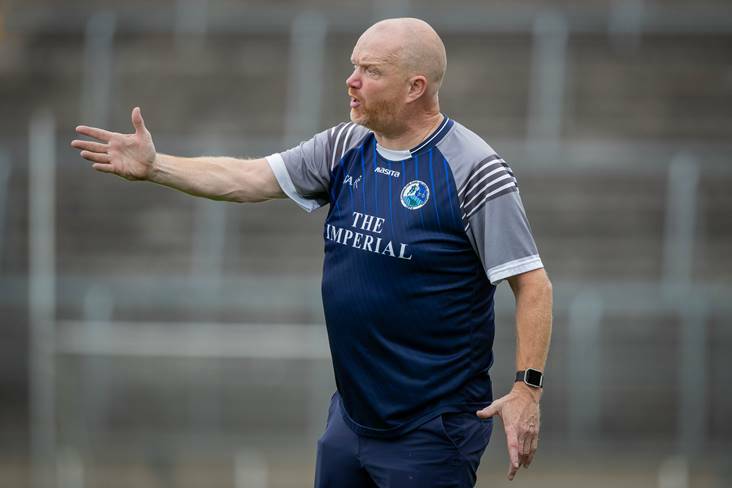 Cavan ladies football manager James Daly welcomed the ‘massive win’ for his side as they beat Kerry in Killarney to secure their place in next weekend’s Lidl Ladies National Football League semi-finals. Victory means Cavan will take on Waterford in the last four, while Kerry have still progressed and will play Division 2’s top ranked team, Armagh, next weekend. Daly had a hat-trick of goals from Aishling Sheridan to thanks for the win, and he praised his side’s fighting spirit and predicted a tight semi-final against the Munster outfit. “From about three games ago we were in championship mode because if we were beaten in any of those games we were out,” said Daly. “We came into this game and needed a win and the girls really stepped up. It’s a massive, massive win for Cavan football. “We’re glad to get into the semi-finals. We have had a big turnover in the squad this season and we struggled early on. Cavan were four points behind with 20 minutes remaining at Fitzgerald Stadium, but they turned things around and claimed an outstanding 4-16 to 4-9 win. Crucially, Aishling Sheridan grabbed Cavan’s first goal before half-time and they only trailed by three points at the break. But Cavan took complete control and goals from Sheridan in the 48th and 54th minutes were enough to seal the 4-16 to 4-9 win. Meanwhile in the final Division 4 group game, Louth proved too strong for Fermanagh at Glen Emmets and ran out 2-19 to 2-9 winners. The win for Darren Bishop’s side means they finish in top spot in the division and will now meet Antrim in the semi-finals, while Fermanagh will face Limerick in the other last-four clash.